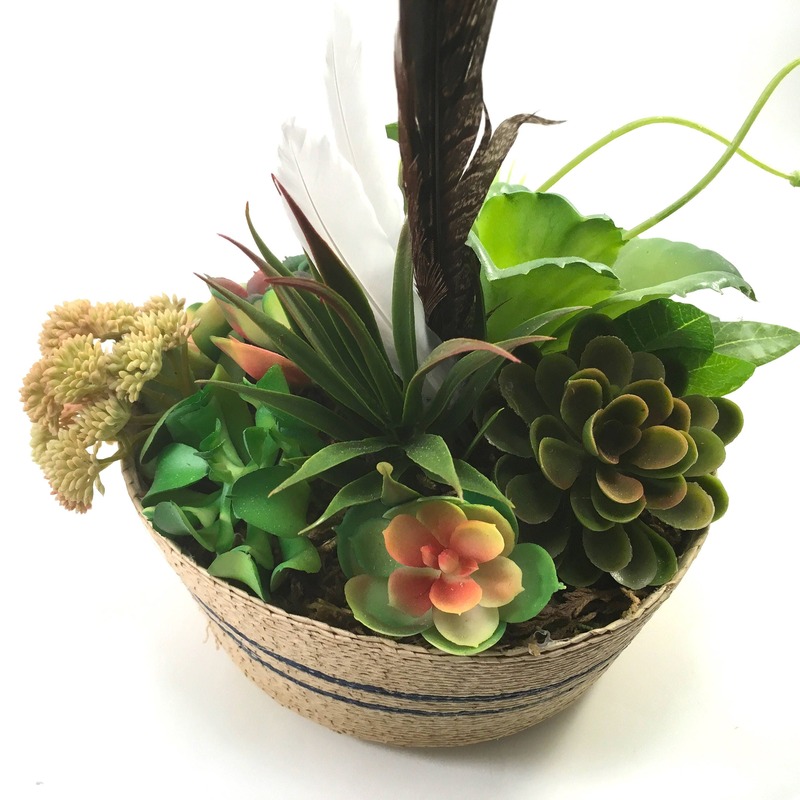 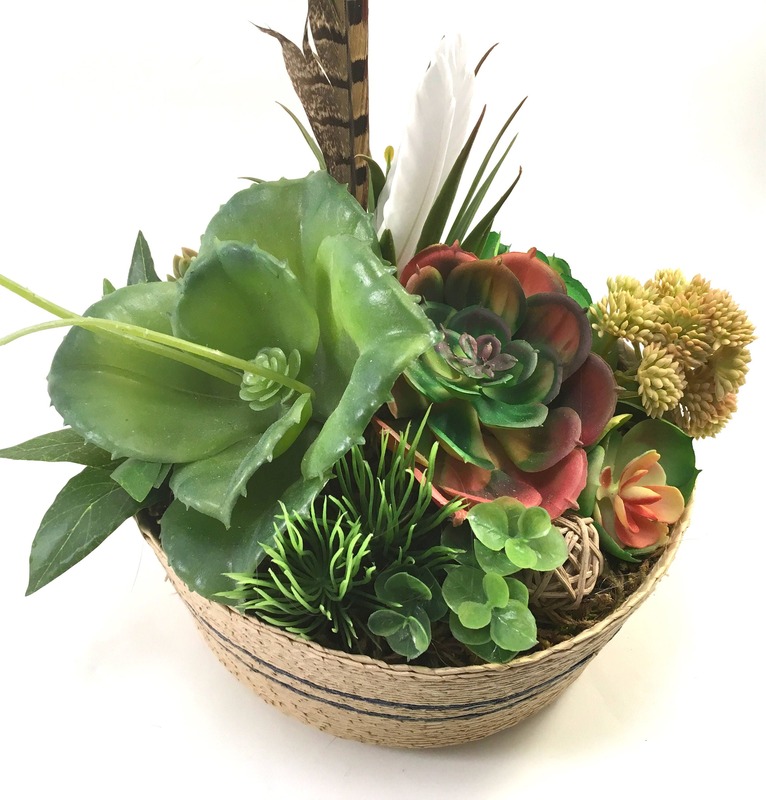 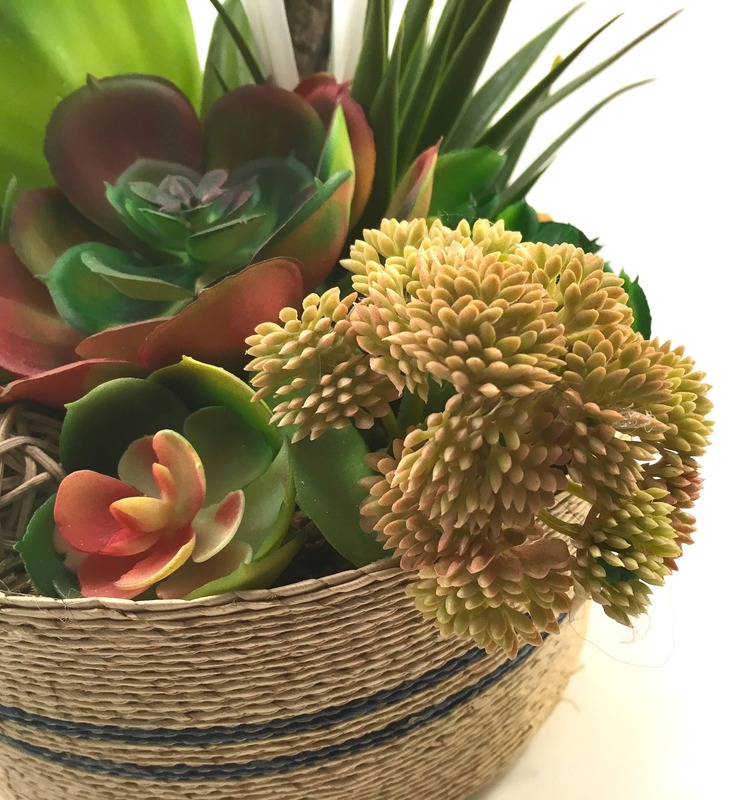 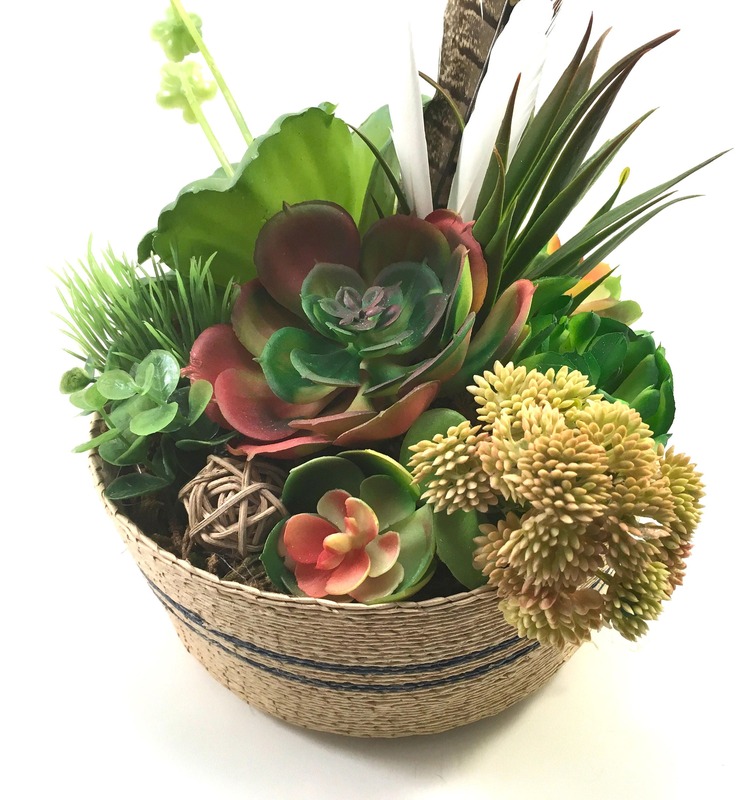 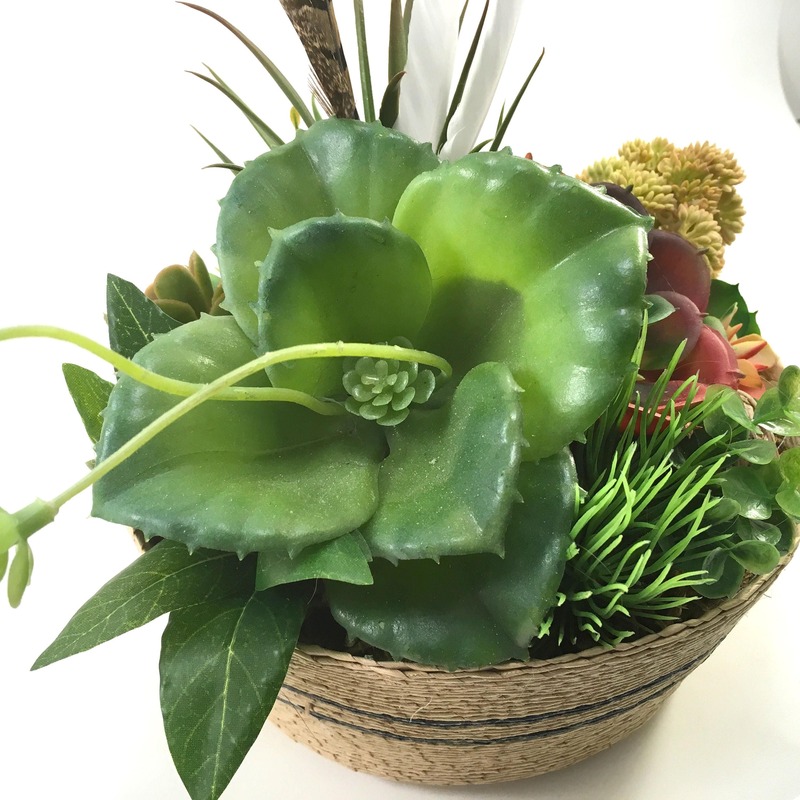 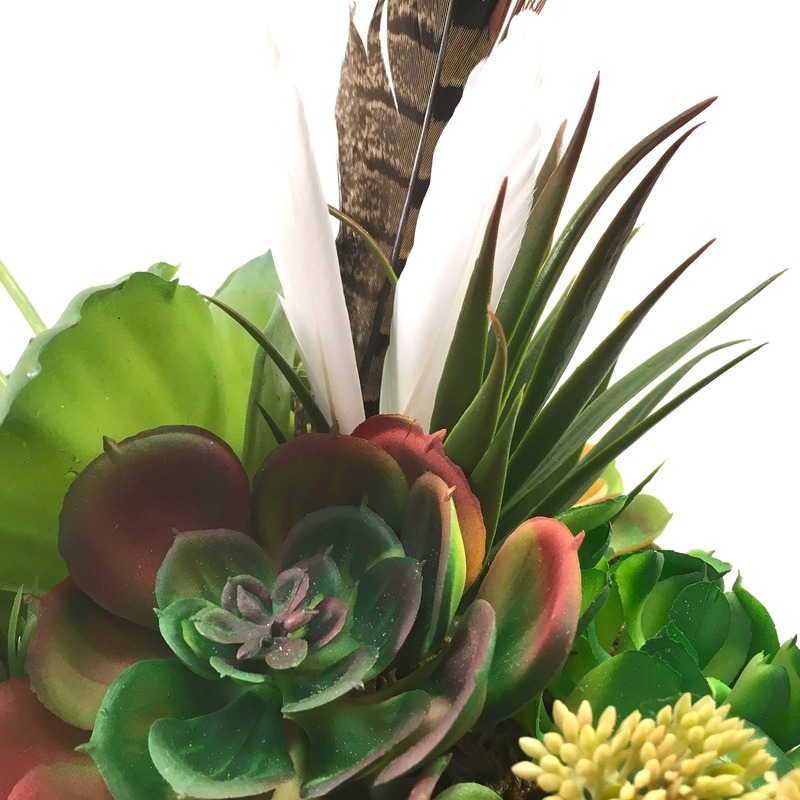 I filled this simple round straw basket assembling a full house of 11 faux succulent plantings of various specimens and colors. 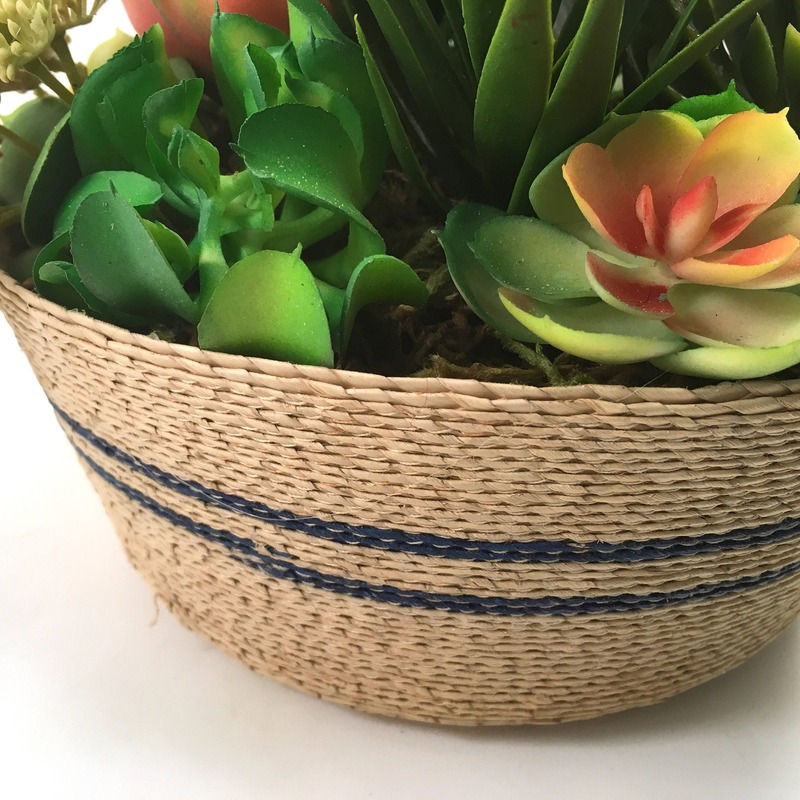 Two narrow blue bands decorate the basket giving it almost a nautical or coastal feel. 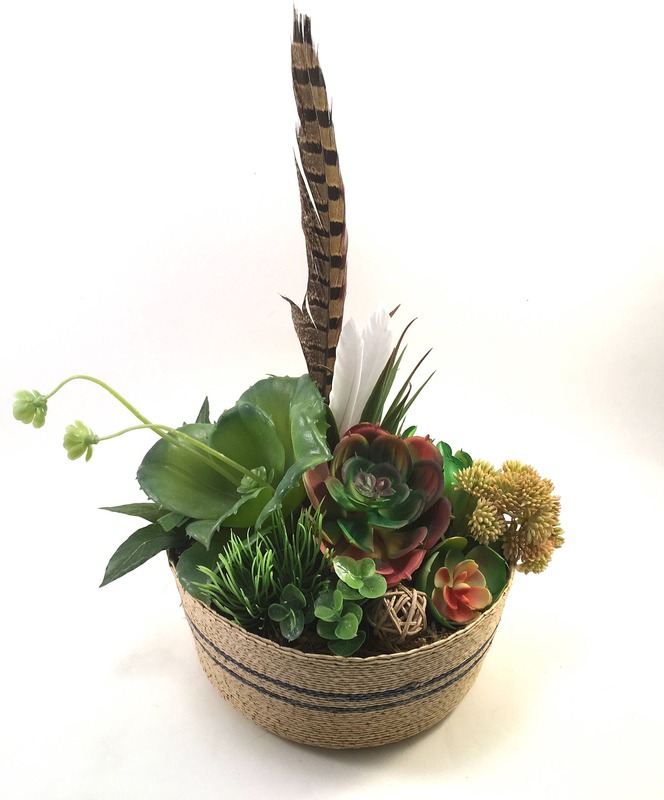 A pheasant feather, two small white feathers and a wicker orb add decorative accents.